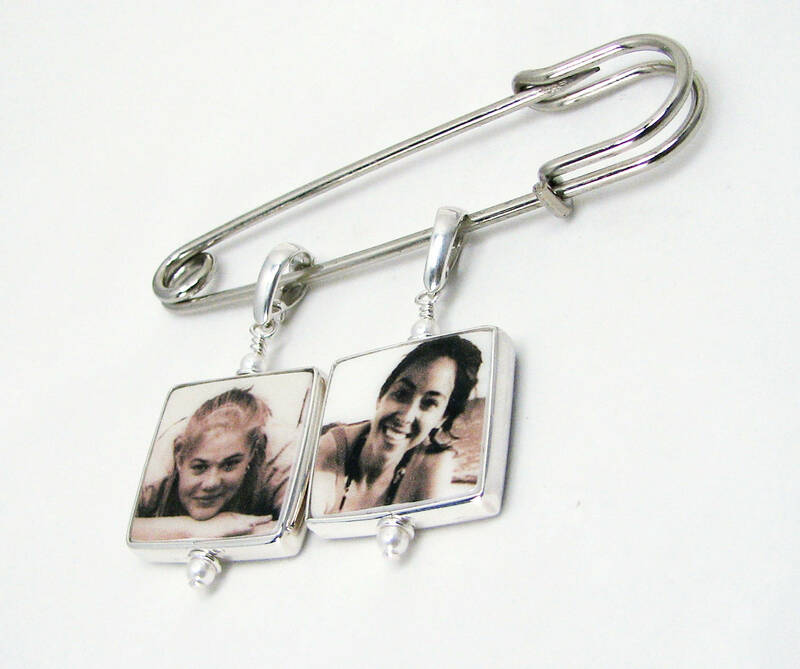 This 3" silver pin holds 2, two-sided, keepsake memorial photo charms. 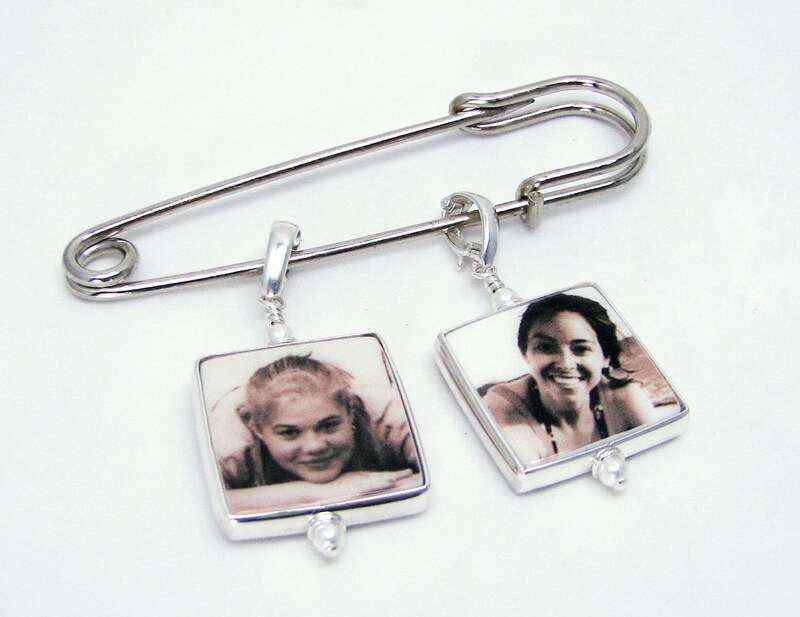 They are framed in a highly polished sterling bezel, and each one measures up to .75" X .75" in size. Up to 4 images, or custom text messages. 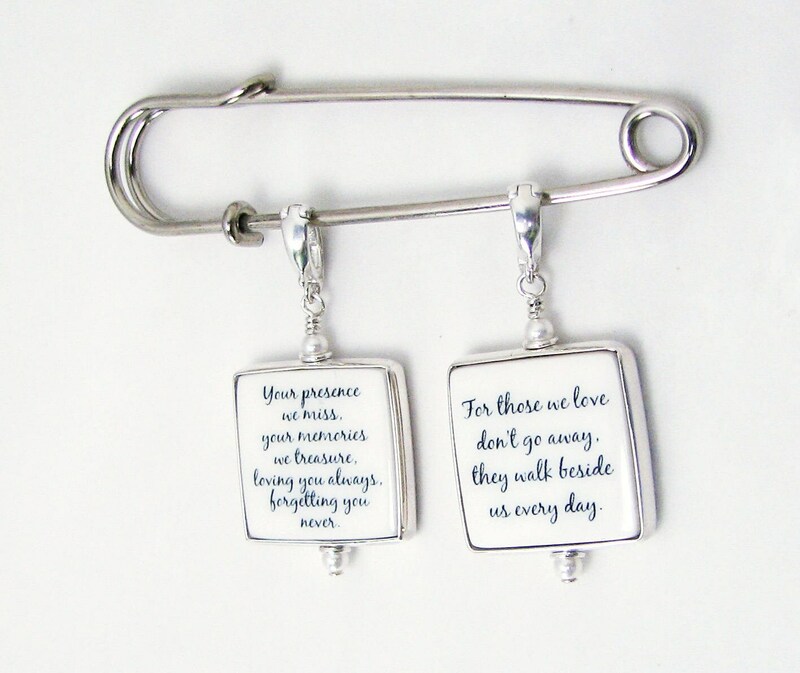 Each charm comes on a bail that opens so that it may easily be removed from the pin at any time. 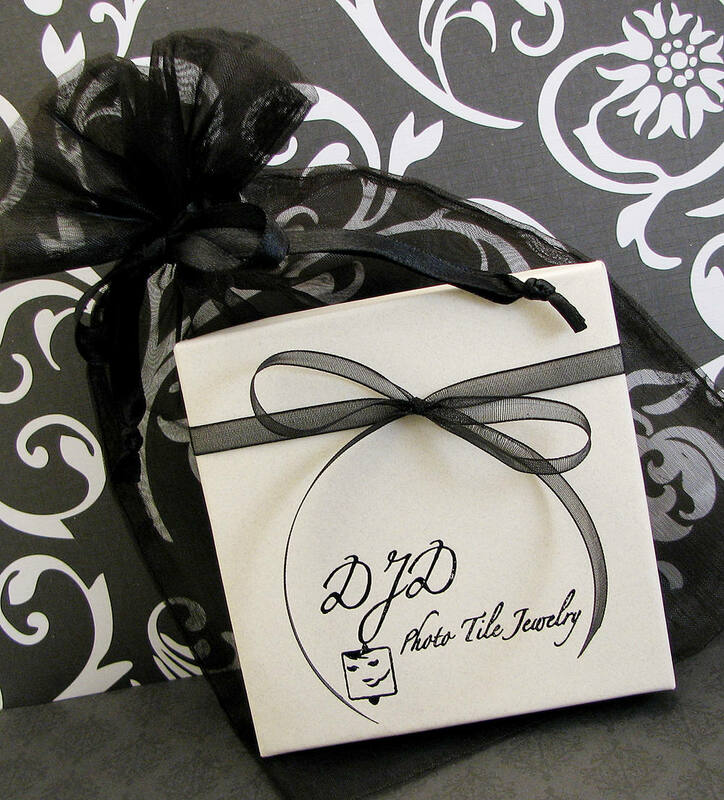 After your ceremony these charms can be worn as a pendant on a necklace if you like. This boutonniere pin is available in gold tone (with the charm components all being 14K gold-filled) by request. 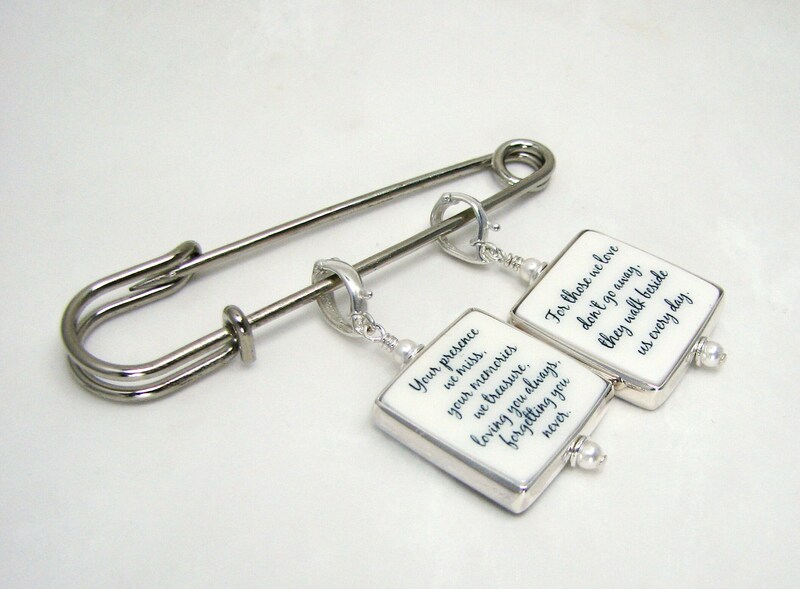 * This listing is for two charms and the price reflects a quantity discount.